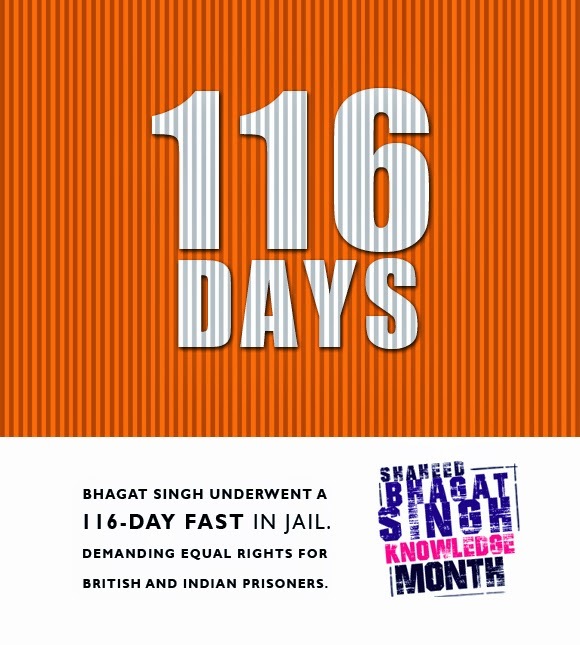 116 is the number of days Bhagat Singh fasted. Together with Batukeshwar Dutt, Bhagat Singh and an accomplice threw two bombs and leaflets inside the Central Legislative Assembly. The two men were arrested, as they had planned to be. Held on this charge, he gained widespread national support when he underwent a 116-day fast in jail, demanding equal rights for British and Indian political prisoners. 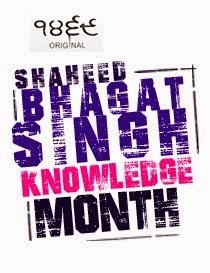 Shaheed Bhagat Singh Knowledge Month. Powered by 1469 Blog. Share this information on Facebook. 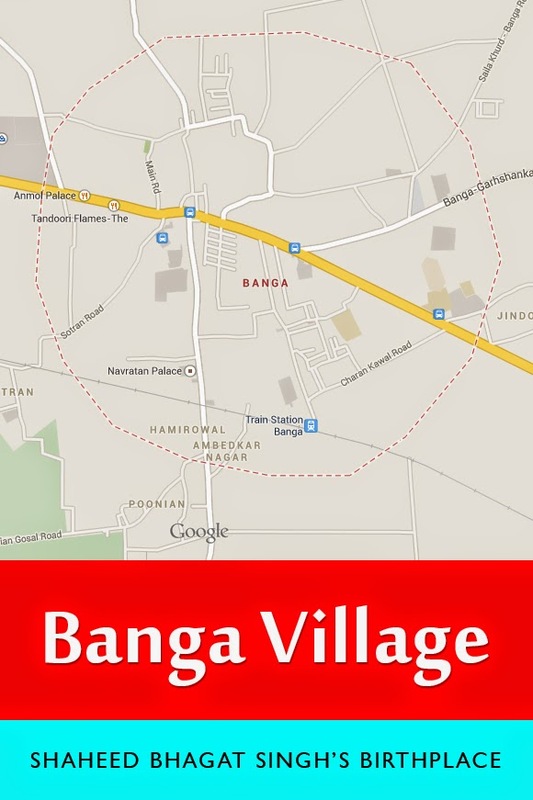 Shaheed Bhagat Singh was born in Banga Village of Punjab. Scroll down & always remember this fact. Remembering someone is the greatest thing we can do to them. Also, who knows it could win you a prize or two.. Keep coming back for more facts and stories. Inqlab Zindabad! Bhagat Singh, born 28 September 1907, was an Indian socialist considered to be one of the most influential revolutionaries of the Indian independence movement. 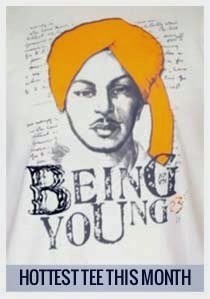 He is often referred to as "Shaheed Bhagat Singh. Born into a Sikh family which had earlier been involved in revolutionary activities against the British Raj, as a teenager Singh studied European revolutionary movements and was attracted to anarchist and Marxist ideologies. He became involved in numerous revolutionary organisations, and quickly rose through the ranks of the Hindustan Republican Association. Seeking revenge for the death of Lala Lajpat Rai at the hands of the police, Singh was involved in the murder of British police officer John Saunders. He eluded efforts by the police to capture him. Soon after, together with Batukeshwar Dutt, he and an accomplice threw two bombs and leaflets inside the Central Legislative Assembly. The two men were arrested, as they had planned to be. Held on this charge, he gained widespread national support when he underwent a 116-day fast in jail, demanding equal rights for British and Indian political prisoners. During this time, sufficient evidence was brought against him for a conviction in the Saunders case, after trial by a Special Tribunal and appeal at the Privy Council in England. He was convicted and subsequently hanged for his participation in the murder, aged 23. He continues to be a youth idol of modern India. 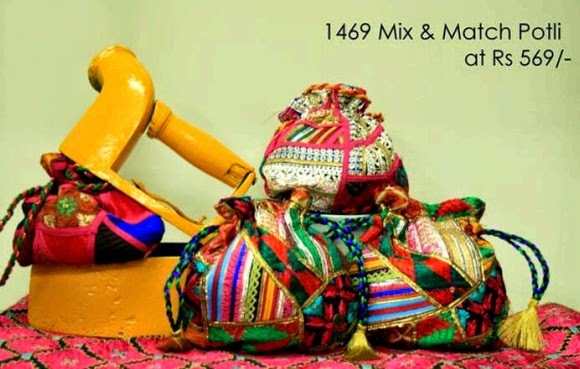 Phulkaris are the treasured textile craft of Panjab. Revered the world over for their aura and festive appeal, they exhibit scintillating magic of threads and crafts to the spectators in the world of culture and fashion. The Phulkari show is one of grandeur and splendour which leaves the audience spellbound and awestruck. This goes the story on stage. What does Phulkari mean to the stalwarts behind the stage, the concept conceivers, the magic makers? When a story is written, the writer pours his heart onto the paper. Fiction or not, they are a mirror to the mind, a reflection of thoughts, and a tale of lives that touched. Phulkaris are the stories women in Panajb write with a needle-thread in hand and a bundle of emotions somewhere within. Like all beautiful tales, Phulkaris witness these women through a journey, stand by them through the highs and lows, and become their venue to vent and bleed. Phulkaris are an expression of women marvelled by the gift of life, narrating festivity and fertility. Or the endeavour of women engulfed in struggle and hardships to find joy. Phulkaris are crafted over times spent by two women together cherishing conversations over tabbar matters. Or women thinking of their children, planning of their marriage years in advance. Or women divulging in sincere devotion to the almighty for the sacredness of life. 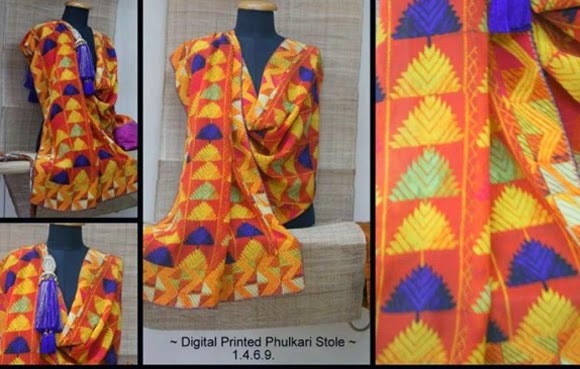 Each Phulkari has a story to tell. And each story is heart-felt enchantment. It is no wonder that these baghs look every bit of treasures that they are. Phulkaris not only set the seal for tradition and inheritance, they also gave a meaning and purpose to the lives of these women. These phulkaris were womens best friend, their soul mate, their secret and their life. 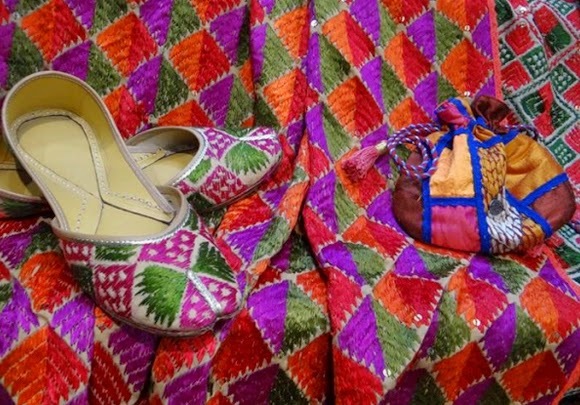 Indeed, the Phulkari show is a treat to the spectators’ eyes, but life to the director! growing to establish themselves as the ultimate in fashion statement. Traditional yet fashionable, elegant yet dramatic, accentuating yet enigmatic, Phulkaris are causing ripples in the mayhem of fashion. Getting set for the wedding season? Gearing up for Diwali Card Parties? 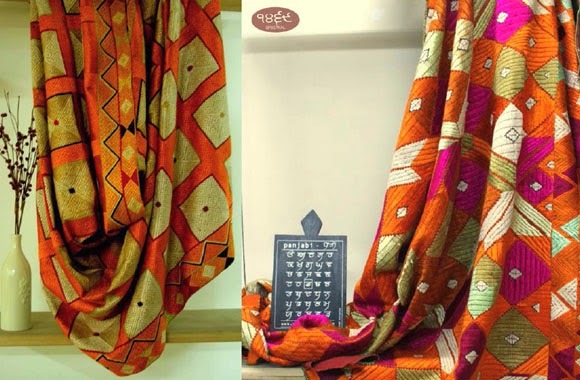 Or simply in a mood to revive your roots, adorn a Phulkari. Confused? We tell you how! Sport a plain kurta or tunic in silk or cotton and carry a statement dupatta. The heavy dupatta in itself completes the look and makes you look like a million bucks! Caution! This look is only for the poised ladies out there, otherwise you can look like a total mess! Hint: Donot over do the look, keep jewellery to the bare minimum, and carry your dupatta elegantly. For a dramatic yet effortless look, sport a phulkaristole. Steal the thunder with fancy Phulkaristoles. 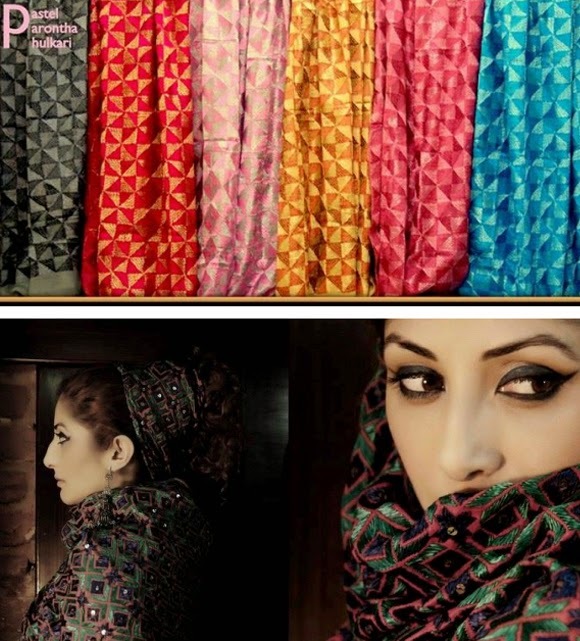 Stoles are not only easy to carry and accommodate in western drapes, they are a boon for the little ladies. Coz dupattasseem too daunting for a smaller build. Sport it with a simple jeans and tee or a basic dress, or an elegant shirt and blouse, Phulkaristoles are a must have must grab this season!Hint: Carry a stole in a contrasting colour to your attire. No prizes for guessing ke Panjabis sab to zyada ki chakde ne!!! Obviously you can own this tee right now. Just click here >> Chak De Phatte! Or also called Papu Titoo! When two greats meet, amazing things happen. Take Rajpal Singh and Sardara Singh for example. Two pillars of perfection. Sources of inspiration for others. And above all, working together to bring pride home. 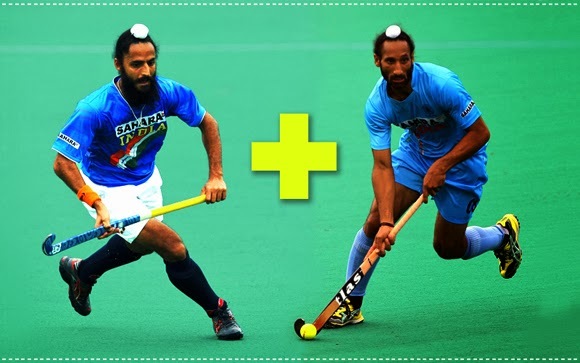 The two of them, along with the rest of the team that is equally talented, helped Delhi Waveriders win like how! 1469 Original salutes their dedication and the spirit of true hockey! Hockey is our national sport. Everyone should do their bit to promote it. We're doing it already. With this t-shirt that says Hockey Vich Sadi Jaan Vasdi!